I remember it well. 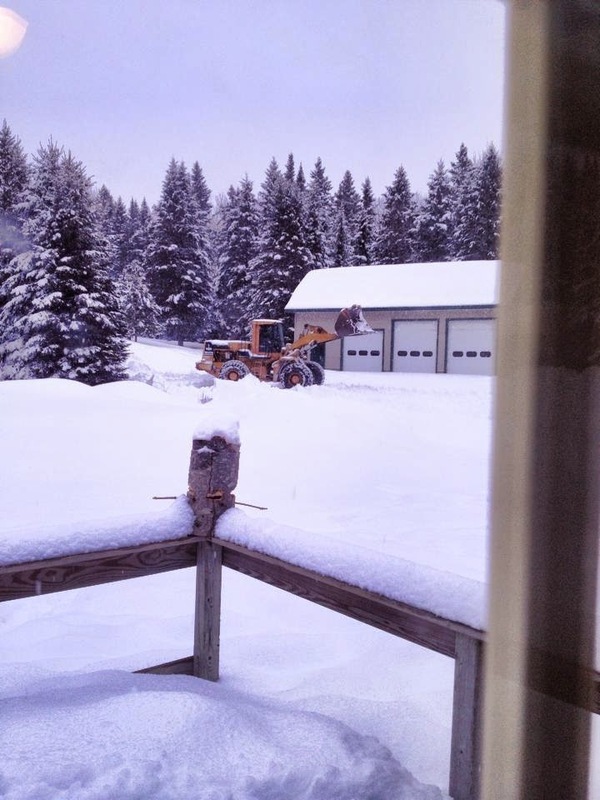 The thrill that surged through me every time I heard the plow hit hard ground at the end of the driveway. Grinding and scraping, disturbing the neat layer of crushed rock as it pushed the snow. Standing by the window with my little brother, we watched and waited to see how tall those snow banks would grow. All the while, categorizing and placing them in neat columns for fort building, sliding, and jumping. 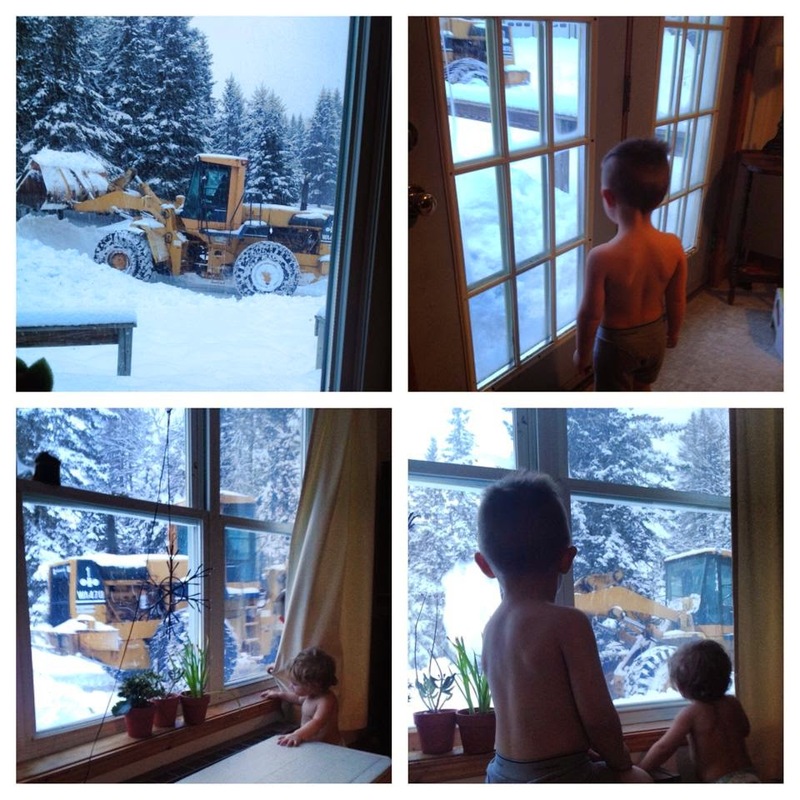 Up here in the North Woods, giant loaders come and clear our yard and graders clear the road. It doesn’t get much more exciting for little boys. Plow, carry, lift, dump, and repeat. I am thankful for the opportunity for them to observe…it serves as a great babysitter while it lasts!